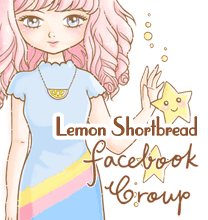 Pink Lemonade Stand by LemonShortbread: NEW BUSINESS CARDS! It's dual use where the back is plain so I can either write a thank-you note, or use it as a necklace card. Matt laminated, stiff card and unlimited colours for offset printing(!! ), 300 pieces for only S$30 (abt US$23)! What a deal. 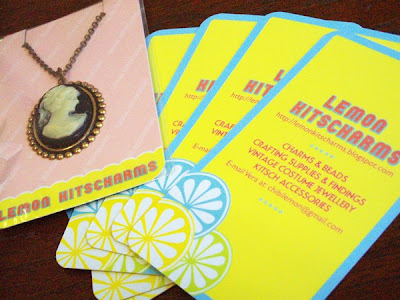 I printed it locally and the printer was near my home (I printed my Lemon Shortbread biz cards there too and was very satisfied tho they are a very new company - at that time their studio seemed halfway renovated). Wow, I love your cards! your cards looks so good!! thanks so much about the great lead to the etsy packaging group on flickr. will definitely join. 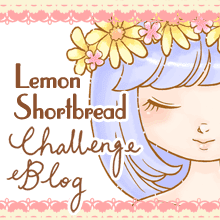 your cards are the cutest & very clever!